We own and breed pastori maremmano abruzzesi since 1965. 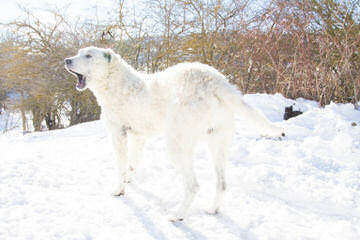 Our dogs live free to preserve the tipical temper of the breed. 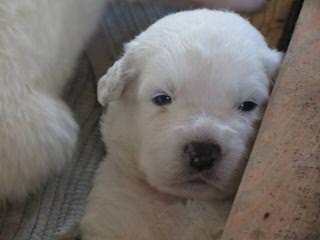 My Maremma sheepdog, Seraphina, had 14 puppies, 10 girls and 4 boys, purebred and registerable, and will be available to great working homes in the beginning of August 2014. Both parents work with my Icelandic sheep and are beautiful and affectionate. 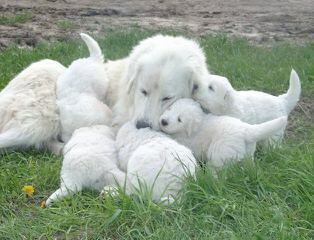 These puppies will be given vet care and socialization with my sheep. 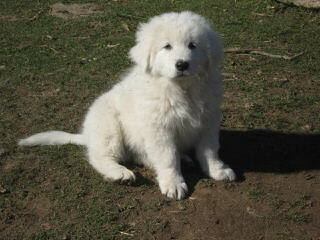 I’m looking for great working homes for each special puppy. If you are interested or would like further information, please call me at 360-273-8446 and if I’m unavailable, please leave a message with your phone number stated clearly twice and I will get right back with you. I’m located in Oakville, Washington and am happy to answer any questions. 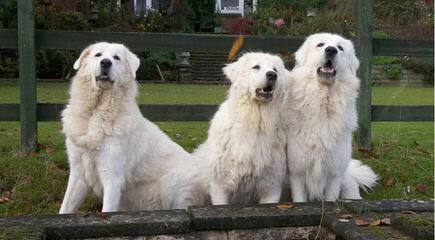 Amateur breeders for Maremma Sheepdogs in Italy, in the neighborhood of Rome. 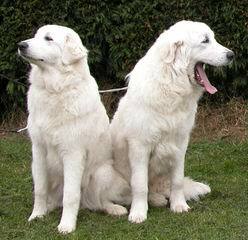 Our dogs are selected for their beauty and for their character; independent, fierce, loyal and courageous. 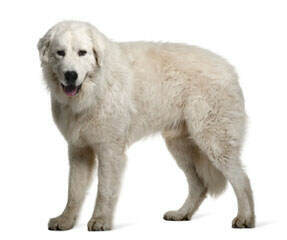 All of our dogs are very social and balanced and at the same time fantastic watch dogs. 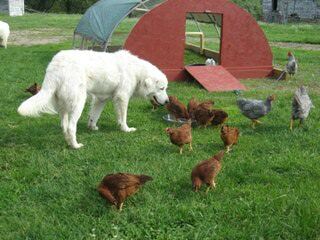 We are breeders of Boer Goats, Saanen Dairy goats, New Zealand Rabbits, raise Chickens and Rabbits. 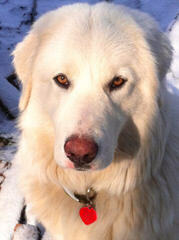 Our Maremma LGD’s are working dogs and keep coyotes, bear, bobcats, and other threats at bay. 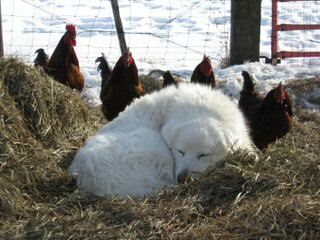 We strive to place all our pups with working farms. 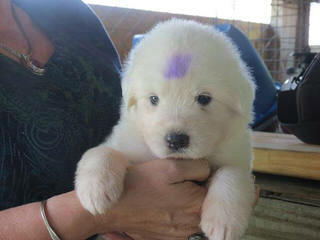 Maremma Puppies For Sale From Working Parents!